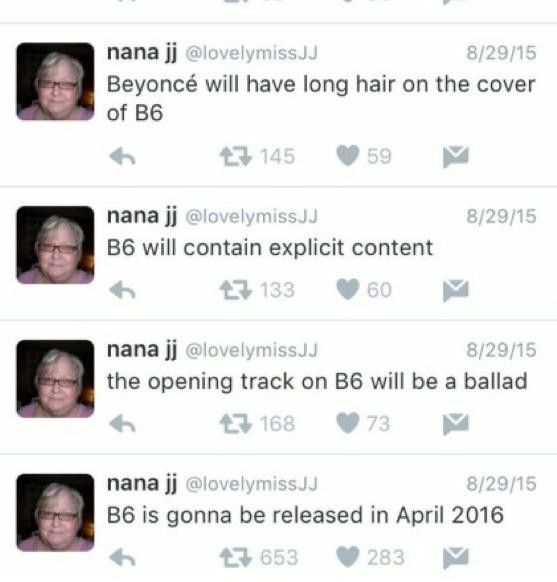 Did This Geriatric Twitter Prophetess Predict Beyoncé's 'Lemonade' Last Summer? 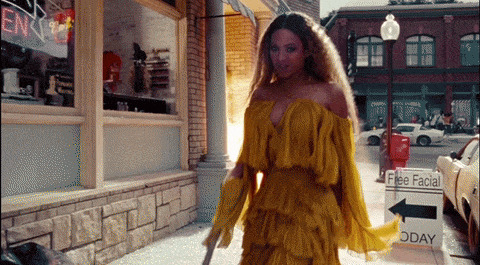 With Beyoncé's Lemonade release and content adding fuel to the inexhaustible bonfire of lore surrounding Bey and Jay-Z's marriage, this Tumblr post is shining a spotlight on one particular Twitter user. 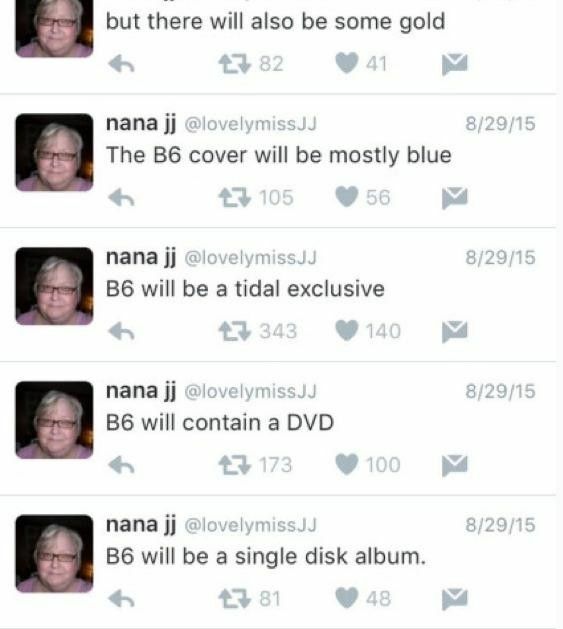 Using the moniker "NanaJJ" with the photo of an elderly woman, this unassuming tweeter essentially predicted the launch of Lemonade, as well as the tone and subjects it hurled our way. 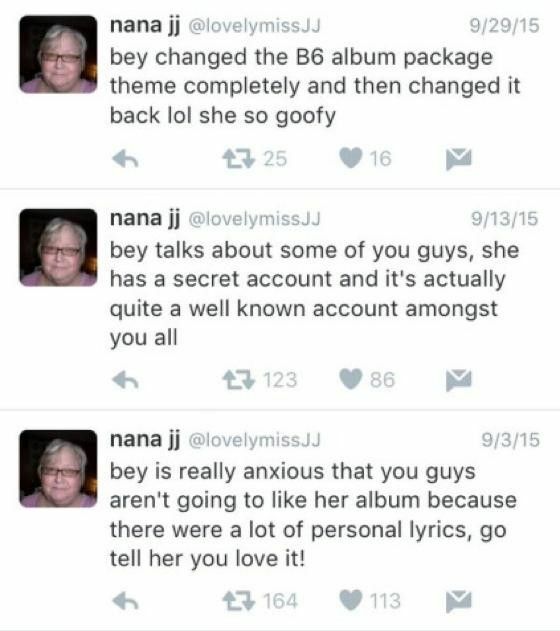 Aside from the eerily correct April speculation, I'd hardly call the other tweets soothsaying; a ballad, AND explicit content on a Beyonce album?! 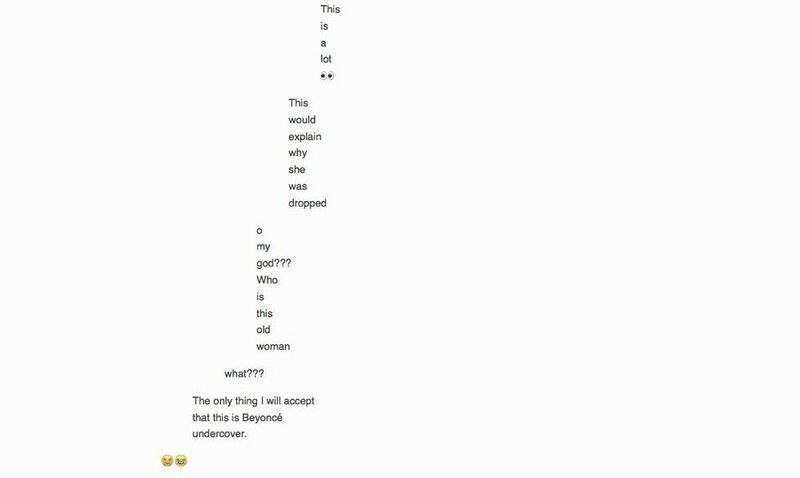 GASP. This user may as well have just posted "Beyonce will have hair on the cover." Becky is losing her friendship with bey and her professional relationship with jay. She's a bitter hater hoe. If Bey has a secret ANYTHING, it's a LinkedIn profile. Let's spare Rita and Rachel Roy the shaming, and just enjoy this gorgeous, devastating music, shall we, Bee Hive?